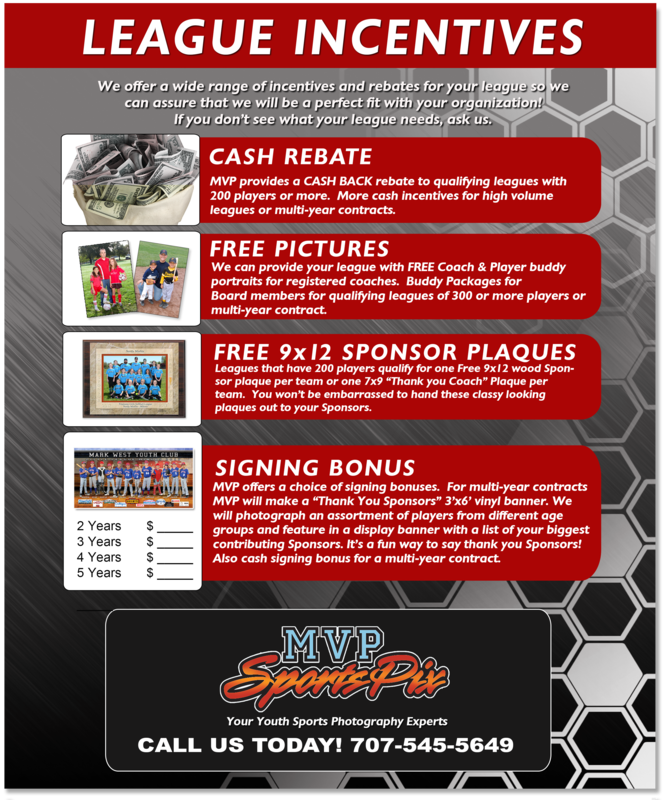 Why you should Choose MVP SportsPix! PHOTO DAY STAFFING AND CUSTOMER SERVICE. 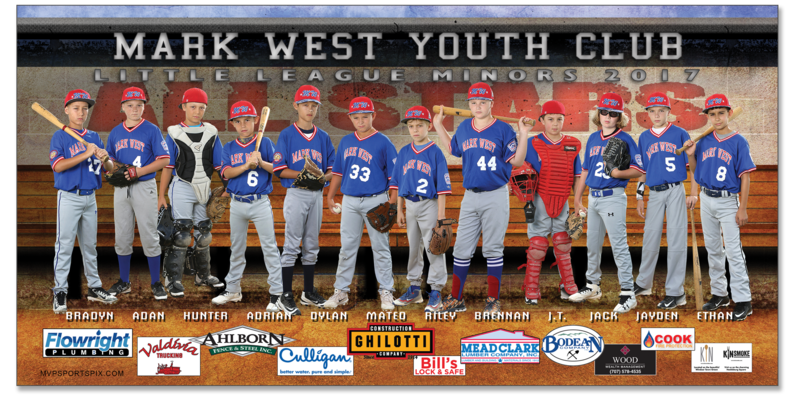 Founded by two professional photographers with kids in youth sports. 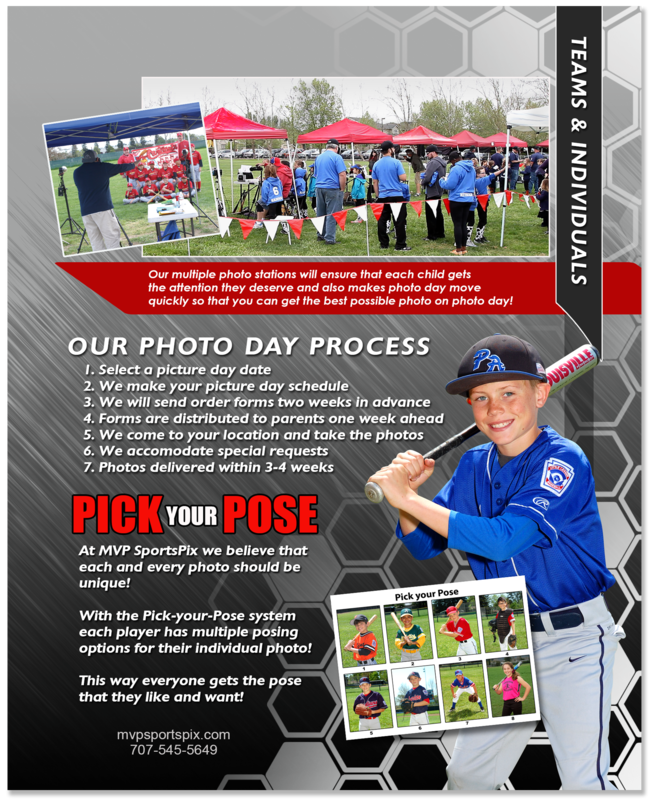 Over 18 years of experience in youth sports photography. Over 100 photo print and specialty products. Families can order packages or individual items. Information check-in table to help parents on pictire day. League fundraising through sales rebate and other options. Toll-free customer service number. Extended office hours 9 AM - 9 PM during the season. Online print and photo products reordering system. With our easy checkout system parents can view our new product wall and pay using cash, check or credit card! Our cashier station makes checkout quick and easy! 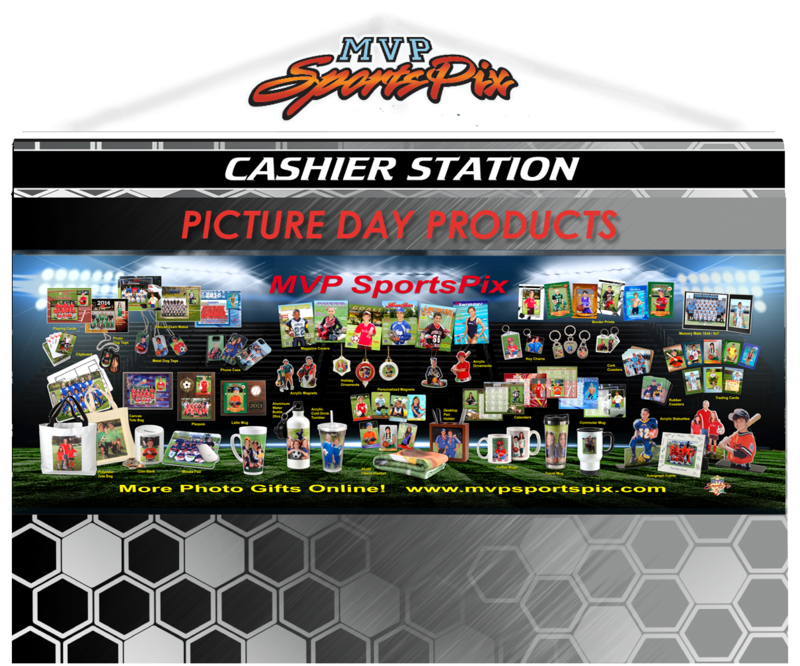 The cashier tent is a great place to learn about all of the packages and products with our large display walls located on the side of the cashier station! Sport specific designed templates for all our photo lab print products. Parents & athletes get a choice of several Memory Mate designs. 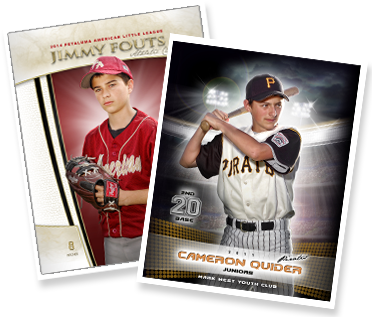 Multiple Trading card designs for each sport too! Checkout sports specific template designs. Parents and players can elect to upgrade to one of our BREAKOUT backgrounds. Each sport has 3 design choices. BREAKOUT team pictures are part of BREAKOUT PORTRAIT PACK or order seperatly. 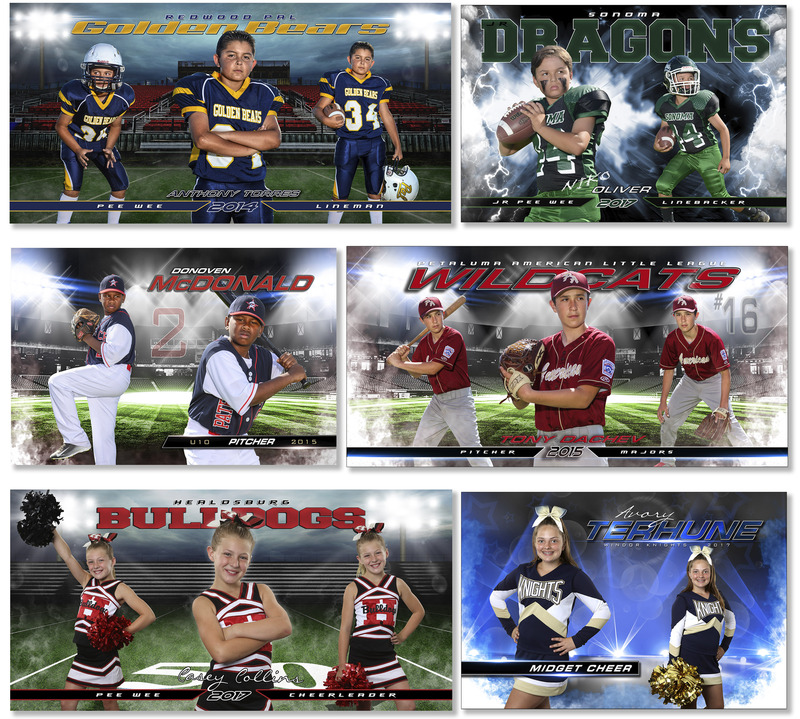 Special 10x20 "Sandlot" Panoramic team pictures can be taken on picture day. 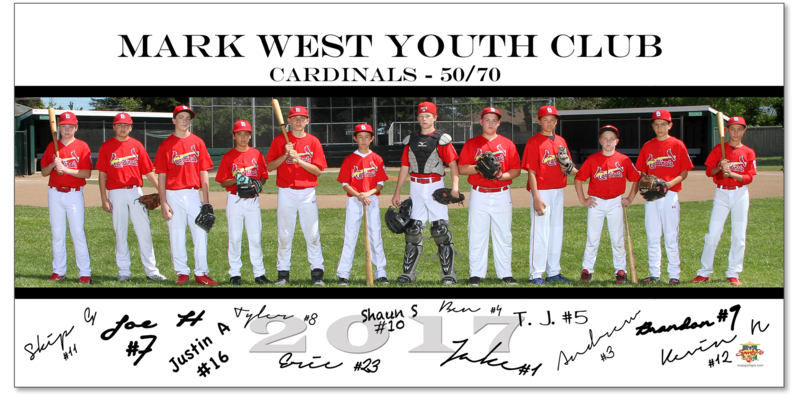 With Players Signatures this print makes a great wall piece or coaches gift! 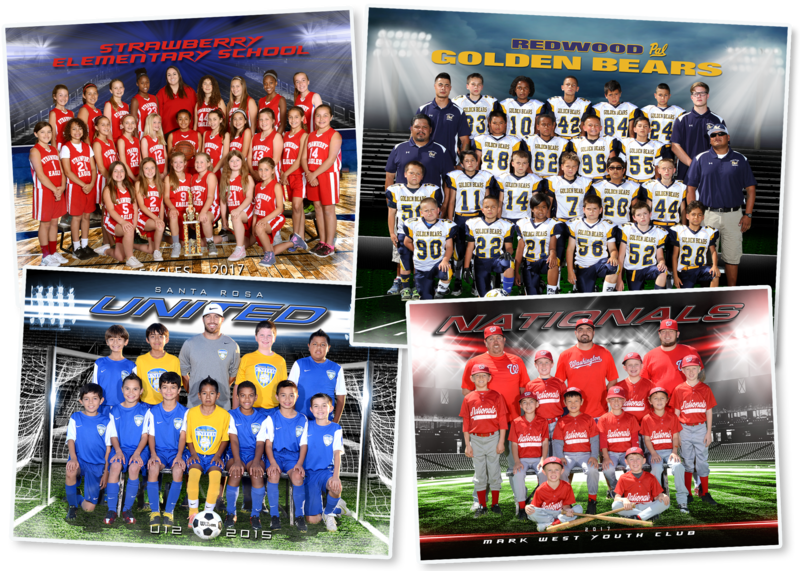 10x30 Panoramic Team Prints and Vinyl Banners for all sports are available with a seperate photo session. Two and Three Pose Specialty Prints make a great wall hanging keepsake. Order using special order form. Dozens of Photo Gift Products to put your childs picture on! Our picture taking system ensures an orderly smooth running picture day. The event process is flexible and can easily coordinate with your league's pre-planned events. To Request an information packet mailed to you click here. For faster service give us a call at 707-545-5649. We will prepare a complete proposal for your league once we know more about your league's size and needs. Special multi-year signing bonus banner sample.